Taken at the Crocker Art Museum located in Sacramento, CA. Nice on Black. Gorgeous on black, such wonderful colours~!!!!!! So beautiful I love the vivid colours. Thanks for the links. Very colourful and makes one happy. That’s a great picture you’ve shot. Gorgeous. Beautiful creation and capture. fav. Very nice and pops on black! His work definitely does celebrate color and this piece is no exception! Beautiful shot and a fav! 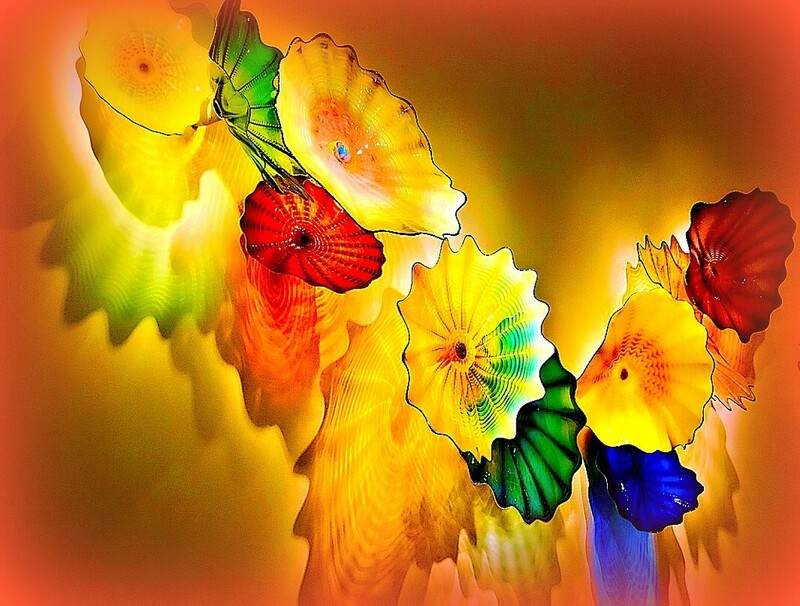 A huge fan of Mr. Chihuly - fabulous image. Just saw his work at the Biltmore In Asheville beaufiully interspersed in the gardens. So pleased to see this in TT, congratulations! Congrats on the TT Page! This is gorgeous! fav! P.S. I love Chihuly glass! i am so glad to learn about this museum in Sacramento... I saw it advertized when I was there in summer but we did not go... now I will try to go next time I am there. this is so lovely..
Congrats on #3 for the week - quite an honor and well deserved!